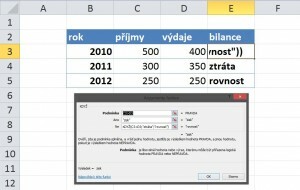 To automate the calculation and display values depending on the fulfillment of conditions we use IF function in Excel. 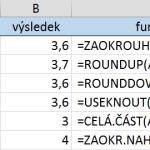 Anything that depends on another cell, the result of the formula or filling values, can be easily determined by just this feature. This is a function from the Logical category and in this article, learn how to use it. 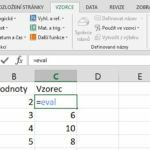 For novice users it is better to use a function wizard, which will help them to fill it and advises the user as where to write. 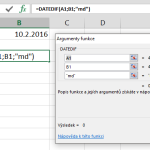 The result formula is then wrote itself into the formula bar. 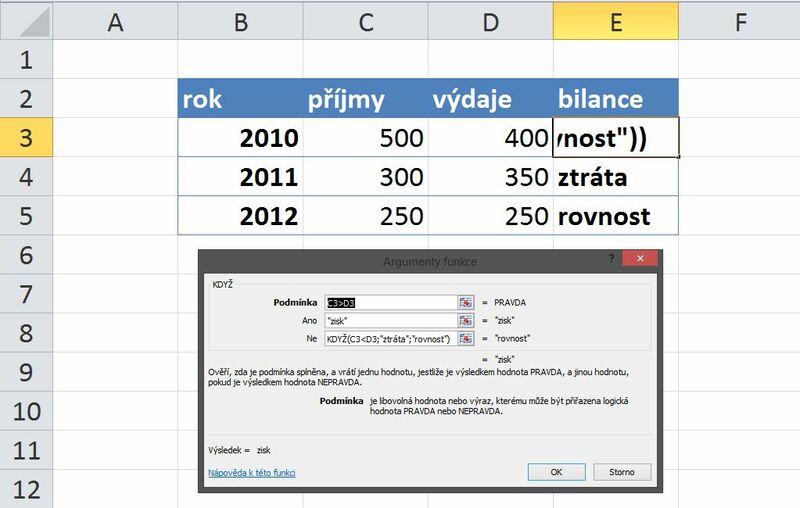 Example 1 : In recent years we compare revenues and expenditures of the company. We want automatically according to income and expenses show a net balance “profit” or “loss”. Each IF function can display two possible results (arguments for true and for false). If we need more results, you need the more IF funtions. 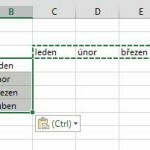 In Excel version 2003 we can have a maximum of seven nested functions, in version 2007 up to 64. It is always necessary to have in the formula of one function less than the desired number of possible solutions. Eg. for three possible solutions PROFIT / LOSS / EQUALITY counting financial balance we need to have two IF functions. If this guide has helped you, become a fan on Facebook and recommend this site to your friends, it can be useful for them too.